Fifty years (almost) after the beginning of Nissan operations in Mexico, Nissan has reached a figure that boggles the mind: 10 million vehicles produced. This came as a joint effort between three different manufacturing facilities, which together produce over 800,000 units yearly. Nissan in Mexico began all the way back in 1966, producing the Datsun Bluebird in Morelos in the first plant Nissan ever built outside of Japan. 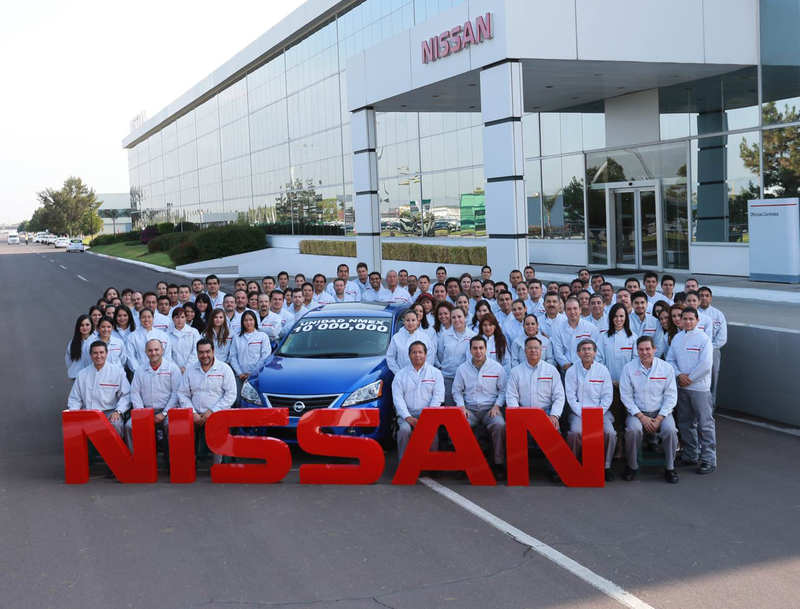 Eighteen years later in 1982, Nissan expanded its operations to a more central location and built the Powertrain Plant in Aguascalientes. Since then, the company has built two manufacturing complexes in Aguascalientes, labeled A1 and A2. The first car from the A1 plant was a Nissan Tsubame, ironically exported back to Japan, and later the Nissan Tsuru, intended for domestic and international consumers. The 10 millionth unit manufactured was an Electric Blue Nissan Sentra SR in the Aguasclientes A1 plant, and will be delivered to a dealership in Toluca, Mexico.